Home Depot is a well-known home improvement retailer, which is known for its DIY products for home improvement. With its headquarters and corporate office located in Atlanta Georgia, this company operates through many stores that offer thousands of home improvement supplies, building materials, lawn and garden appliances, and it even offers supplies and tools straight to the job site for trades people and contractors. It operates from over two thousand locations and has stores around the world. It offers merchandize customized according to the needs of a specific area. The company offer home services and contractor services and offer kids workshops as well. There are currently 5 consumer reviews about Home Depot available. Share your review. The only reason why I am giving HD a rating of 1 is because of a customer care person (customer care?) today. I needed help with a glitch with an online purchase. I received a credit card ok and wanted to purchase a refrigerator. When the purchase didn't go through, I went to online chat help. This person, Ashley, was very rude and never helped me. In fact, she told me I couldn't make any online purchases until I received my card in the mail (a lie). She also told me that if I wanted to purchase a smaller appliance I could do so. Excuse me, the only reason why I got the credit is because I needed a refrigerator ASAP and couldn't wait 2 weeks for the card. I got the ok from the credit app that I could use my line of credit, $1,250.00, to purchase online today. I asked to have someone else come on but she insisted that anyone else would tell me the same thing. Well, after being on the phone for another hour, I did get someone who told me there was a glitch in the system and she straightened it out. Well, this Ashley should be fired...customer service...LOL. Home Depot purports to support the military. This is only a gimmick. I am 64 year old disabled veteran. A 10% military discount is offered. The Stockton Home depot store refuses to honor this discount unless I am present at the store. The worker I have hired has a copy of my credit card as well as my military id. The clerk at the store is required to contact me to get the ccv info from the card back and to confirm my worker has authority to pick up the needed merchandise. This was done and during the call confirmed the discount would be applied. My worker has informed me later that they subsequently refused to apply the discount, without calling me and telling me directly that the discount would not be applied. Home Depot charged my credit for an amount that exceeded my authorization. This can be construed as fraud. Home depot is merely providing "lip service" to honor our disabled veterans. I have bought a lot from yall, I ordered doors 3 weeks ago the trucking company said they would be delivered around 4-15-13. I call to check the on them and only get stupid people that can't speak English. I call store and no one knows anything there. I must say yall need to hire better trained people or you will go broke. I go in the store and can never find anyone to help me when I need them. I think they all go into hiding when someone walks in . 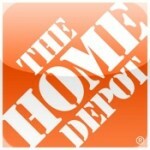 Please take a note that you are about to post a public review about Home Depot corporate office on CorporateOffice.com. This review will be public, so please do not post any of your personal information on this website. If you would like to contact the corporate offices of Home Depot, please use their contact information such as their phone number, website, and address listed above to contact them. However, sometimes staff from Home Depot headquarters do read the reviews on this website.